Mike entered his career in 2000 being accepted into the Steamfitters local 420 apprentice program. After graduating from the 5-year program and working on many large-scale projects such as, Citizens Bank Park, Tower at Children’s Hospital, Merck pharmaceutical sites, he was considered a journeyman. Six months after graduating, Mike was promoted to foreman where he was now responsible to run projects under his direction. In 2007, at the age of 26, with an entrepreneur spirit and drive, Mike ventured toward Philadelphia neighborhoods to begin his passion for creating a thriving construction and development process in urban markets. Streamline was formed with a vision to simplify the construction process. While working in Point Breeze, he met his business partner who had a similar vision. Their instant bond, trust, and shared business goals quickly blossomed into a partnership in 2008 at the height of the recession. The partners saw a need & a service opportunity to enhance the process for the new construction consumer as well as streamline the construction process for development. Mike’s persistence and self-motivated drive to create a positive impact within Philadelphia quickly led to rapid growth for Streamline. At the start, funds were raised by friends & family. The team began walking the neighborhoods of Philadelphia to build relationships with community leaders and local residents, to source projects where they could rebuild and improve the neighborhood. Mike quickly developed and managed the construction team which he led to create processes and procedures for future rapid growth and expansion, to maintain the growth and strategy Sean was pursuing.Today, Mike is the CEO of Streamline, overseeing a leadership team that manages 70 employees within 6 divisions: Acquisitions, Development & Construction, Realty, Title, Warranty Services, and Commercial. Keith joined Streamline in January 2018, bringing 10+ years of home building experience with him. During his first year with Streamline, Keith established a strong accounting team to support the company’s rapid growth and fast-paced environment. Keith has built additional lender relationships for Streamline and has proven to be a key leader for the company. Today, Keith leads the Finance and Accounting Department as the Chief Financial Officer. After graduating from the University of Notre Dame in 2000, Keith started his career at the Big 4 Accounting Firm of Deloitte and Touche where he earned his CPA license. Keith subsequently worked in the accounting and finance departments of Fortune 500 companies before entering the residential real estate sector with Orleans Homebuilders in 2007. As Director of Financial Planning & Analysis, Keith helped guide Orleans Homebuilders, a top-25, publicly traded National Homebuilder, through the housing collapse and a corporate restructuring that culminated with its emergence from Chapter 11 bankruptcy protection in 2011. After leaving Orleans Homebuilders, Keith worked for two regional homebuilder start-ups before joining Streamline. In addition to graduating from the University of Notre Dame, Keith earned a Master of Business Administration from Villanova University in 2012. Tristin oversees Realty Sales, Marketing, Service, and Residential Development. Tristin’s primary focus is to ensure continuous technology enhancements throughout Streamline to support operational efficiencies as well as delivering an exceptional, innovative consumer experience for company growth and expansion. Tristin has an extensive background with over 10 years of Brand Marketing and Communications experience. Tristin spent majority of her career at VF Outlet, Inc., a multi-million retailer and division of VF Corporation; a global leader in apparel, footwear, and accessories, where she managed and directed all business marketing initiatives. Tristin’s experience includes years of Consumer Market Research, Customer Relationship Management, Internal Communications and Training, Advertising, and Web Development. A few success highlights include; the development of the company’s first e-Commerce business, leading not only the development of the website but the structure of the team needed to manage the business; the start, build, and analysis of the company’s CRM database of 2M consumers; creation of internal communications to enhance training and tools to empower associates and generate a positive customer experience; and the formulation of the company’s re-branding to execute a comprehensive value strategy aimed at delivering a clear and focused in-store value proposition. Tristin is a licensed Realtor® and has her B.S.B.A from Kutztown University of Pennsylvania. Steve joined Streamline in 2014 as Vice President, responsible for overseeing land acquisitions, development strategy, residential underwriting, and financing relations for a home building portfolio in Philadelphia totaling approximately 1,000 units and $300MM of revenues. Today, Steve leads the companies growth plans for new strategies within the Philadelphia market to expand the product offerings and the company portfolio. In addition, he leads company initiatives for urban expansion into new markets throughout the nation. Steve has a diverse real estate development/finance background that spans 14 years and includes stops at Toll Brothers, Keating Group (Dan Keating) and Keystone Property Group (Bill Glazer). 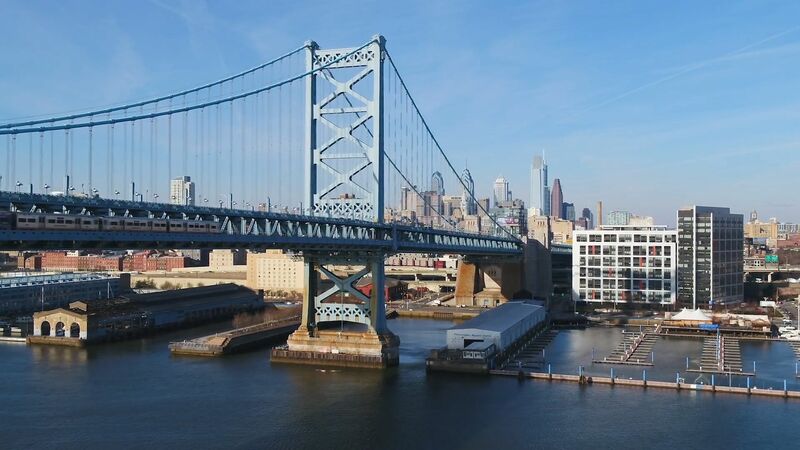 Steve has been directly involved in the development and financing of over $1.4 billion of real estate in Philadelphia and other markets across the country. Steve’s educational background includes a finance/international business degree from the McDonough School of Business at Georgetown University in 2004, and he attended high school at Malvern Preparatory School in Chester County, PA.
Jason focuses on the acquisition, development and financial reporting of Streamline’s commercial, residential, and rental property sector. Additionally, Jason works closely with Streamline’s investors and banks to raise equity and finance the company’s projects. Jason began his career at Toll Brothers, the leading luxury home builder in the US focusing on other home builder acquisitions as well as the acquisition and financing of large master-planned residential communities, condominium and multifamily developments. Jason joined GPX Realty Partners as a Principal in 2007 after leaving Toll Brothers. GPX was an owner/operator of value-add multifamily and office properties in the Mid-Atlantic US. While at GPX, Jason led the acquisition and value-add business plan execution of over $200 million of office and residential property. Jason was an Associate Director of Acquisitions at Grosvenor Fund Management, a London based private equity real estate company with $20 billion of assets under management. While at Grosvenor Jason led acquisitions for a healthcare real estate fund which invested in medical office and senior housing properties, and sourced, underwrote, and executed on office, apartment, and retail property acquisitions. Prior to joining Streamline Jason was Chief Investment Officer of AXR, an advisor and asset manager for international family offices investing in US real estate. Jason has over 14 years of diversified real estate investment experience and graduated from the Wharton School of Business at the University of Pennsylvania. Chris Dewey focuses on acquisitions and development of Streamline’s residential and commercial property sector. Chris oversees a team of associates and researchers who help to identify, negotiate, and purchase development opportunities in urban markets. Additionally, Chris works closely with the technology team to continuously upgrade and enhance the proprietary acquisitions software. Chris has spent his entire career at Streamline and has worked in all the positions within the acquisitions department including targeting, negotiating, and underwriting residential development projects. As well as holding various project management roles in implementing technology throughout the company. Since 2014, Chris has helped Streamline control over 60MM in residential land acquisitions, totaling 500+ units. Chris graduated from the Darla Moore School of Business at the University of South Carolina, where received a Bachelor of Science in Finance and Real Estate. Linda is best known as an inspirational leader who brings a unique blend of a sharp yet flexible business mindset; a passion for building organizations, teams, and results; and a commitment to making connections one client, alliance partner, leader, and employee at a time. Further, her experience working across diverse verticals in the customer contact center industry enabled her to bring best practices and industry insights forward. With that experience, Linda’s leadership most recently took Telerx, a wholly-owned subsidiary of Merck & Co., from a $90M organization to a $200M+ organization. Linda joined Telerx in January 2006 as VP, Business Development and then SVP, Sales and Marketing with the responsibility for leading the strategic organic and acquisition growth of the organization. In April, 2007 Linda was named President and a member of their Board of Directors, overseeing all functional areas including strategic development, business, and financial planning, and driving strategic value back to their clients and Merck, the parent company. After retiring from Telerx in 2017, Linda joined Streamline with a focus on Strategic Planning and Business Expansion to achieve rapid company growth and development.